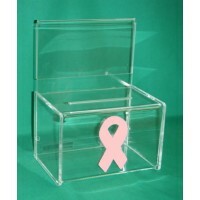 The "Breast Cancer Awareness" Donation Box is built from a strong clear acrylic material. 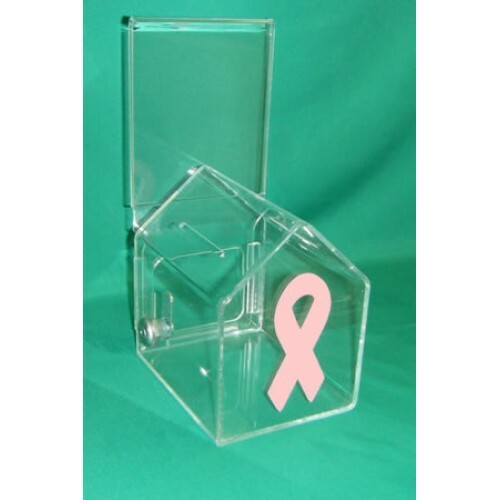 Each "Breast Cancer Awareness" Donation/Collection Box comes with a lock and 2 keys allowing secure storage for collected items. 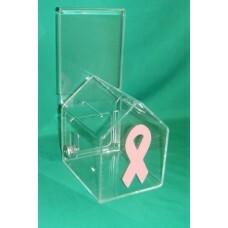 The back side of the "Breast Cancer Awareness" Donation/Collection Box has a sign holder, for displaying a campaign message or other visuals.